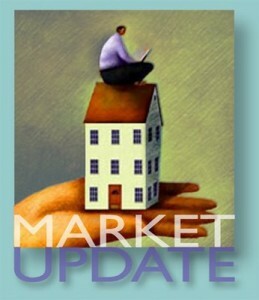 ﻿ We have just updated our half year real estate sales results for the greater Portland area. You can view details comparing the first six months of this year compared to a similar period last year on our website. Across the entire state of Maine there have been 4,218 single family home sales in 2011 compared to 5,171 during a similar period in 2010. This represents a decrease of 18%. This trend is the same when looking at southern Maine, where home sales in Cumberland County are down 16%. Sales in York County are similarly down 17%. According to statistics provided by MRIES, inventory is also high at this time. There are a staggering 16,066 single family homes for sale in Maine. In Cumberland County there are 2,388 on the market and another 2,572 in York County. Although this information might seem a bit grim, the percentage of property under contract has improved slightly. At the end of June 13% of all single family homes were “pending”. This ratio is even better for both York and Cumberland Counties at 15% and 19 % respectively. You can access all local southern Maine home sales by community. Details are included by single family, condo, multi-family and land. We thinking about selling your home in this market, it is important to keep in mind that there is an enormous level of competition and within every price range there are a limited number of buyers. This is especially true today, and it has been this way for the last several years – and will be for the foreseeable future. As a seller it is essential that you have a fundamental understanding of comparable sales and competing prices. Homes that offer the best value will attract offers. That being said, the most important aspects in creating value for your home include a compelling price, the best condition possible and a strong marketing plan that features the most innovate approaches in today’s market.